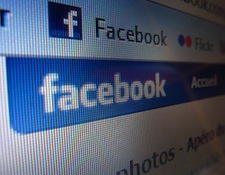 Is Facebook Reducing the Size of Marketplace Ads? While photos are getting bigger, it appears that Facebook ads are headed in the opposite direction. According to several Scribd users, the social network’s ad specs reveal a reduced size. Marketplace ads — which are traditional self-serve Facebook ads and not Sponsored Stories — now include a 99×72 pixel image and 90 characters of text. Previously these ads included a 110×80 pixel image and 135 characters. The new marketplace ads are 19 percent smaller, which could mean less attention. However, we don’t expect this to hurt advertisers, as ads with fewer words tend to perform better. The smaller ad could also mean that Facebook is making room for additional ads in the same space — which would lead to more competition among advertisers. It’s possible that the ad specs changes are meant to make Sponsored Stories and page-post ads more appealing to advertisers. The social network is giving much more real estate over to its new ad offerings, possibly implying that traditional ads are heading toward retirement. Existing documentation on Facebook still refers to the 110×80 dimensions, but it appears that the site has already begun resizing images. Although Scribd reports suggest that copy changes will go into effect on March 31st, Facebook hasn’t notified advertisers and no information could be found in the Help Center or API documentation.